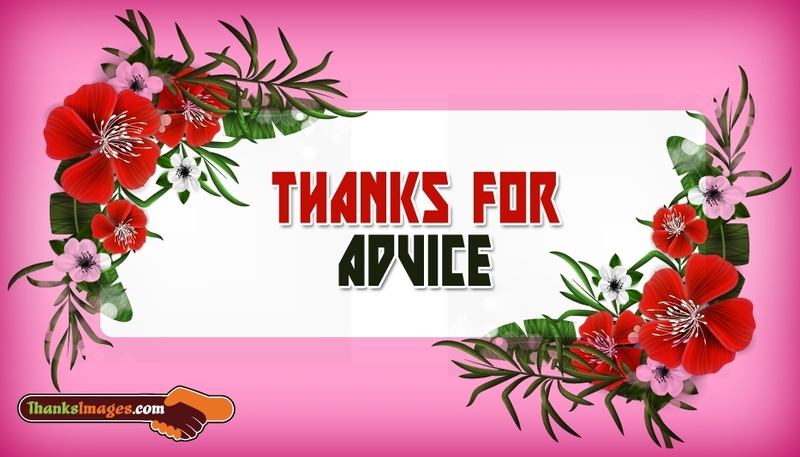 A simple and cool thanks picture to share with your love or friend to thank him or her for the advice. Usually people don't like to hear advices unless it is from their dearest persons. This thanks picture can be used to thank your dearest person for the valuable advice and at the right time. This picture holds the thanks message "Thanks for advice". You can send this thanks image via email or share through social media or print this e-card.